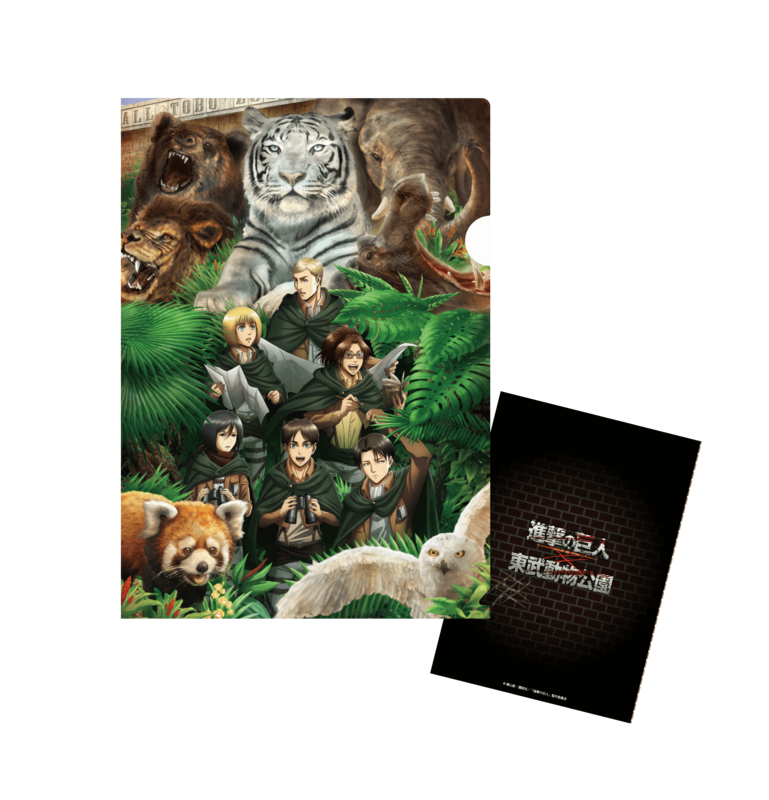 New details for the Attack on Titan and Tobu Zoo collaborative event which was announced last month have been released. The event is set to run from July 14 to October. Let’s take a look at the latest news. Original character designs have been specially drawn for this event. 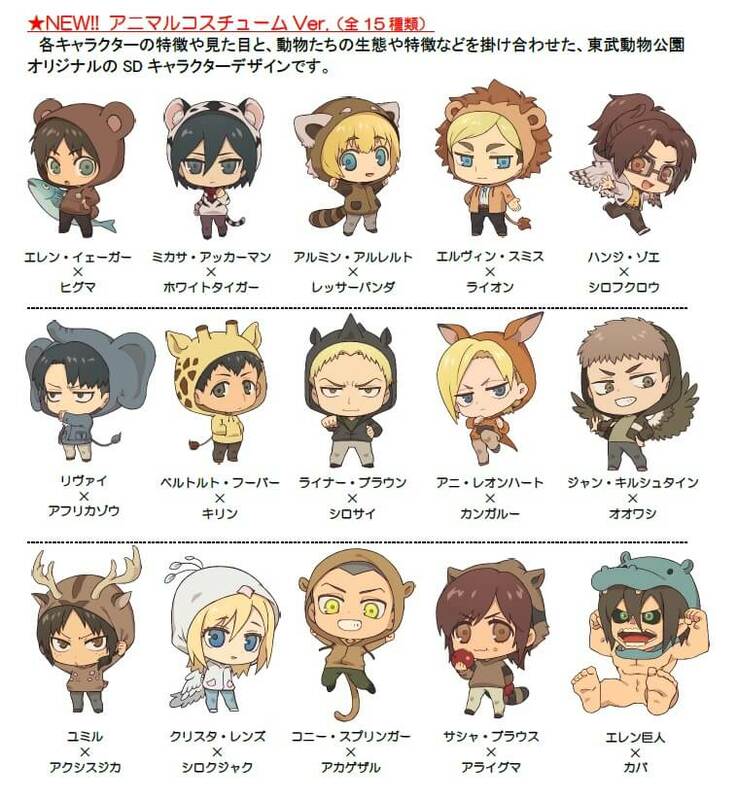 Fans can look forward to seeing main character Eren together with Levi dressed as animal handlers, as well as characters dressed up as animals. 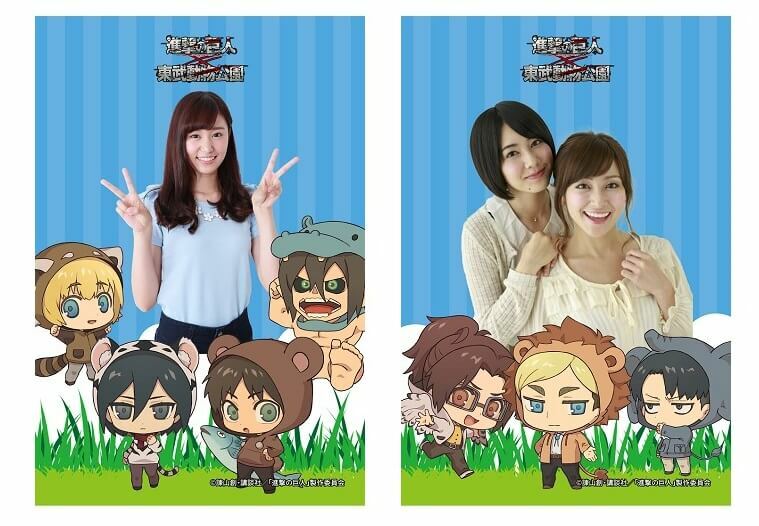 There will be life-sized cardboard cutouts of characters from the series, as well as a photo spot recreating the event’s key visual. There will also be boards of the characters disguised as zoo animals. 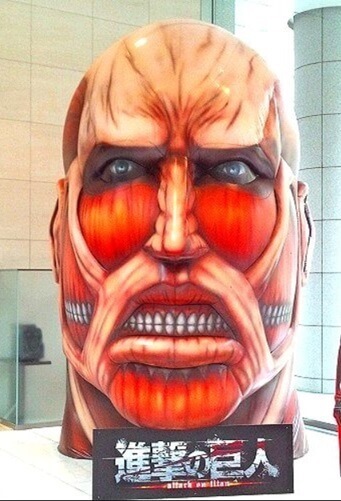 Expect to see a giant 4-meter tall balloon head of the Colossal Titan, life-sized figures of Eren and Levi, and more. 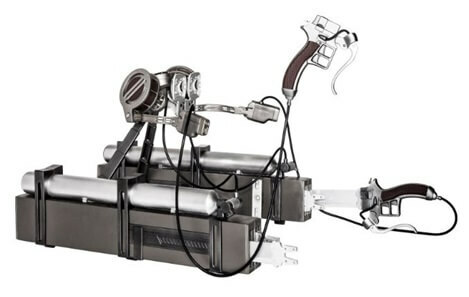 There’ll also be a display of the Maneuver Gear that the humans use when taking down the Titans. 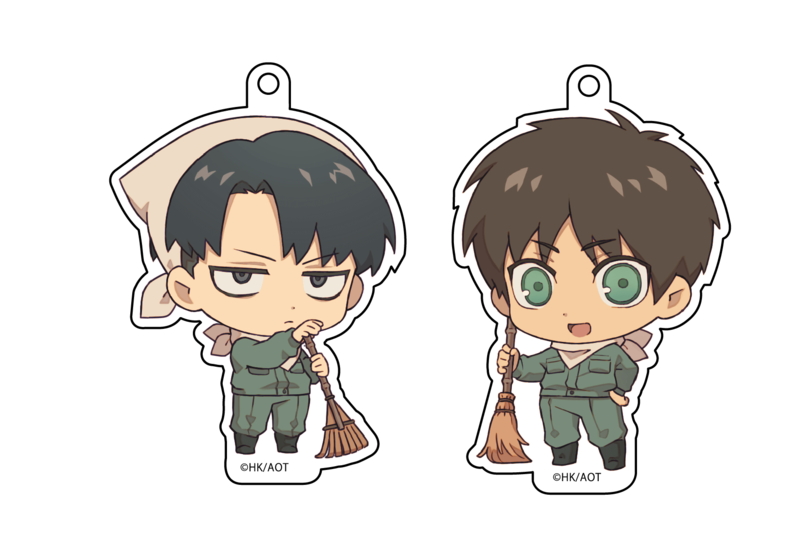 A huge line-up of original merchandise will be sold featuring artwork drawn for the event, such as badges, acrylic keyrings, folders, tote bags and more. Those who spend ¥2,000 or more (tax included) will also receive an original sticker. 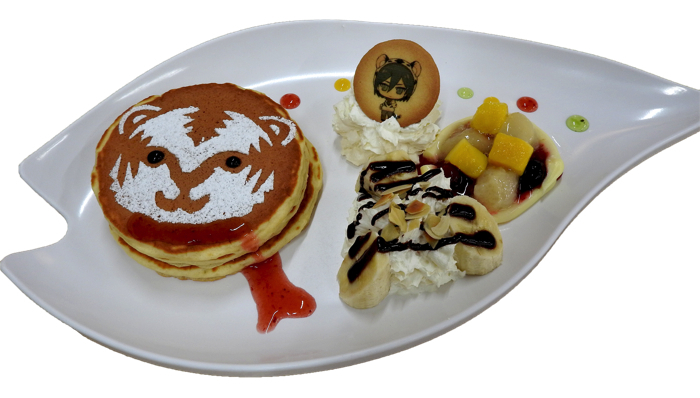 Take a commemorative photo of your day with cute designs of the characters dressed as animals. Photos can be printed. 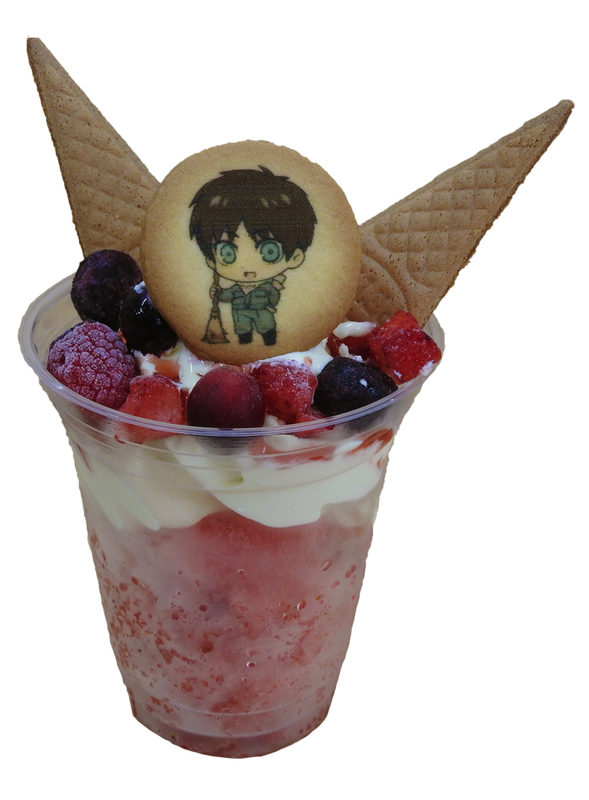 Enjoy food and dessert inspired by the series. Those who order from this menu will receive an original postcard. The voice actors and actresses of the series have recorded special announcements specially for the event. They will go off several times a day and each lasts around a minute. 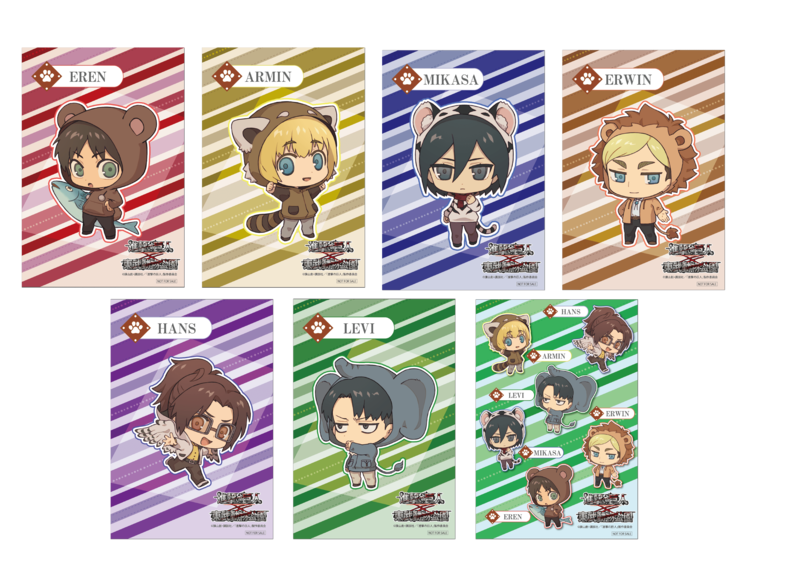 Attack on Titan fans won’t want to miss out on this very special collab!